That does look very nice. Would love to see the Pz Va with zimmerit finish produced by them. I have found they do a nice kit for the price and very good quality for war games. You can pick them up for $3.50 USD each at NWS Online so hard to beat price. Their truck kits used to be very fiddly for some reason but appears they have made strides in that area. I've put some Zvezda kits together myself. Nice. Even put a few Ural 375 trucks into my Team Yankee crew. 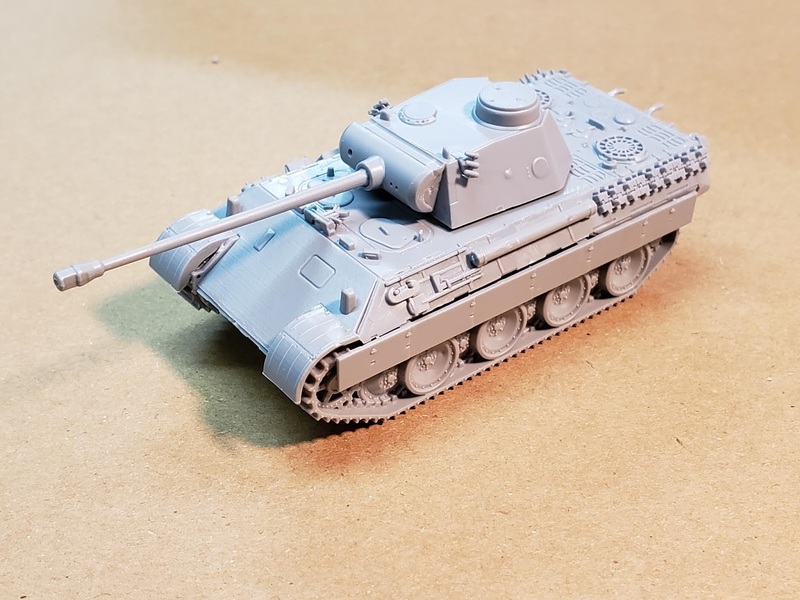 For FoW,I put in some Jagdtigers,and a few other German vehicles too. I guess I can't really agree with your assessment of the kit. That commanders Cupolla is just all wrong. Martin is correct. The box cover art does show a G but the kit is clearly an earlier model. Note, for instance, the hull MG on the cover of the box but, as with earlier models, missing from the kit. Zvezda seems to have this issue. For example on the cover art for their T-26 the correct 6 spoke driver wheel is shown yet on the kit it has an incorrect 5 spoke wheel. Given it is a Russian tank and Russian company curious mistake, though many wont notice it. Still, overall, a good value for the money.